Whoops, it's Saturday and I'm just sitting down to write this. In my defense, I did spend all day yesterday preparing for this post and working on another. Nonetheless, here I am to talk about another delicious pear, D'Anjou. The D'Anjou pear is a French varietal that is widely used in restaurants and in home cooking due to its year round availability, dense flesh that doesn't break when baking, and lower moisture content unless fully ripe. It is thought that the Anjou pear originated in France or Belgium in the 1800's and they appear in either red or green forms. Anjou pears don't change color when ripe and continue to ripen at room temperature. Checking the neck for a little bit of give is one of the best ways to determine the ripeness of your pear. Since I did a cheese pairing on the last installment, I wanted to mix it up a bit. I took a little trip down to DeLaurenti's to pick up a bit of Le Saut du Doubs Comte to make a rustic galette. The feeling of fall has been hitting the Seattle air, so comforting and delicious foods are all I'm craving right now. Thankfully, pears fit right in to that description. Le Saut du Doubs Comte is an Alpine cheese from the Jura region in France. Comte is the highest consumed cheese in France for good reason. It's applications are endless and the flavor profile changes so much within just a few months of aging making it a seemingly different cheese entirely. Comte is a protected cheese in France, meaning that they have very strict guidelines and rules about the making of this cheese. Check out this Serious Eats article I found that explains it all so wonderfully. I have to admit that it's been a while since I've done any real sort of baking so I'm a little out of practice, but it was fun to play around in the kitchen because baking is something I really enjoy doing. I didn't have a complete recipe I was working off of and instead made an amalgamation of a couple of different recipes I found on the internet and while there are some tweaks that I will make on the next round, it was a delicious breakfast this morning. Not terribly sweet with a nice bit of savoriness. Combine pears, juice, vanilla, and nutmeg in a large bowl and toss well. 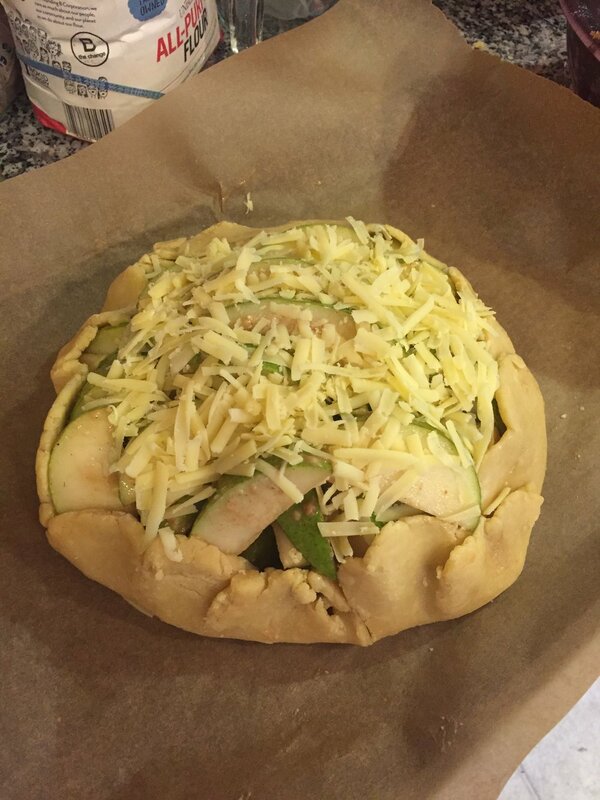 Add brown sugar and flour and some of the cheese, toss gently and put aside. Combine dry ingredients in a food processor with the butter and process until it is a crumbly sand texture. Add cheese. Turn the mixture out in to a bowl and add 6 tablespoons of cold water. Mix with a rubber spatula being careful not to overwork the dough until flour is moist. Let the dough rest 30 minutes before rolling it out in to a thin crust. Add the pears in to the middle of the crust, leaving a 2 inch border. 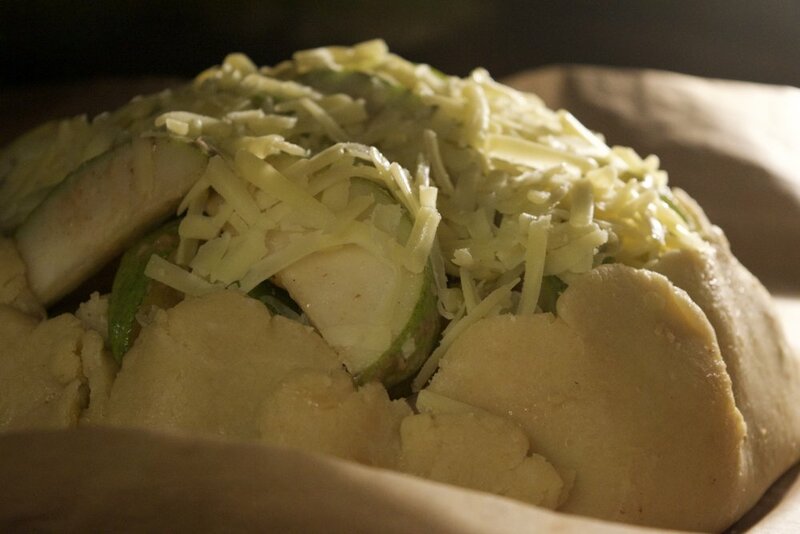 Add the remaining cheese to the top. 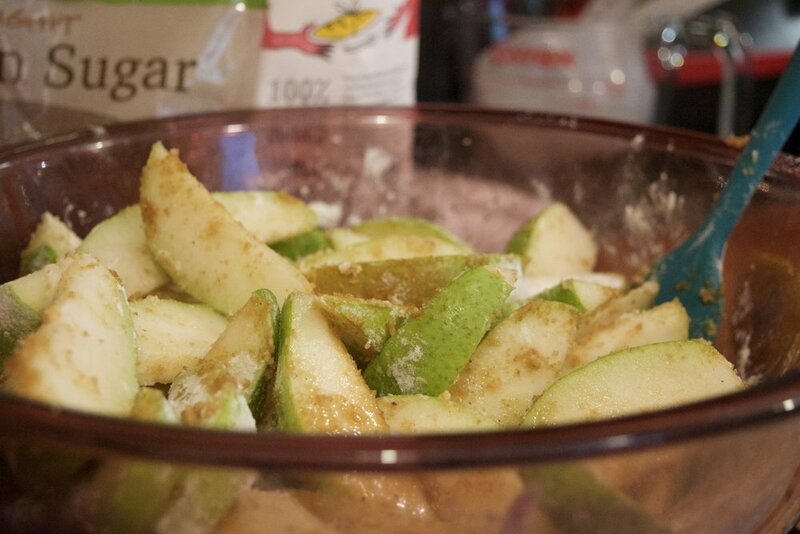 Fold the edges of the dough up on to the pears, pressing gently to seal it. The dough will only partially cover the pears. Bake at 400 degrees for 30-40 minutes until crust is lightly browned. Cool on a wire rack. Do you have a favorite galette recipe? How much do you love Comte? What are you making with all these delicious pears right now? Tell me all about it!